Artistic Director & Owner A 23 year veteran with Dance Art has an extensive background in performance and teaching. 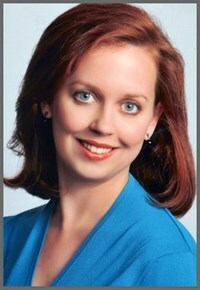 Ms. Michelle has performed with the Butler Ballet Company and the Des Moines Ballet Company. She has danced roles in The Nutcracker Suite, Cinderella, Coppelia, and The Hunchback of Notre Dame. Other musical theater performances include West Side Story, Peter Pan, and The Pajama Game. Ms. Michelle is also a certified ballroom instructor through Fred Astaire Ballroom where she competed and taught. She attended Butler University for dance performance and arts administration. Miss Annie started dancing at age three and has been trained in ballet, jazz, tap, lyrical and hip hop. She grew up in Eureka dancing at Renee Johnson's Dance Studio. She was a part of Eureka High School Golden Line for four years where she competed in poms, hip hop, mix, and jazz. 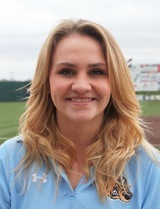 From there she attended Missouri State University and was a member on Diamond Girls where she choreographed and danced for the college baseball team, as well as dancing in student and faculty choreographed numbers. Annie graduated in May from Missouri State this May with a Bachelors of Science in Marketing. Ms. Jenny took her first dance class when she was 5 years old and hasn't stopped since then. She has trained in hip hop, jazz, ballet, tap, modern, Irish Step Dance, and contemporary. She trained at Angie's School of Dance, Heavenly Rhythm, and Rena's Dance Unlimited while growing up in Collinsville, Illinois. While in high school she was a member of the State Champion Collinsville High School Dance Team and choreographed for them. Jenny teamed up with her sister to choreograph an award winning competition routine for the JV team after graduation. Ms. Jenny attended Missouri State University and graduated with a degree in Organizational Communication and dance minor. 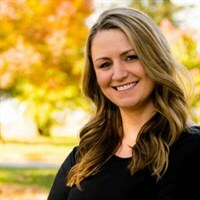 While at Missouri State, Ms. Jenny performed in faculty choreographed dance concerts in addition to performing and choreographing for student choreographed dance concerts. Ms. Jenny also choreographed various dances for her sorority. She was selected to attend and perform in the American College Dance Festival (ACDF) in Natchitoches, Louisiana her junior year and served as a captain for the Diamond Girls Dance Team while in college. Ms. Jenny recently graduated with her Masters in Business Administration (MBA) from the University of Missouri – Columbia. While in Columbia, she took class and performed with the Columbia Performing Arts Center. Ms. Jessy started her dance journey when she was 5 years old. She has trained in ballet, tap, jazz, modern, contemporary, hip hop, and Irish Step Dance. She grew up in Collinsville, Illinois and trained at Angie's School of Dance, Heavenly Rhythm, and Rena's Dance Unlimited. She performed and choreographed for the Collinsville High School Dance Team and won back to back State Championships. Ms. Jessy worked with her sister to choreograph an award winning competition routine for the JV team after graduation. Ms. Jessy graduated from Missouri State University with a degree in Organizational Communication and a minor in dance. During her time at Missouri State, Ms. Jessy performed in faculty choreographed dance concerts and choreographed as well as performed in student choreographed dance concerts. Ms. Jessy also kept busy by choreographing and competing dance routines with her sorority. Ms. Jessy was also on the Diamond Girls Dance Team in college and served as captain for two years. Ms. Jessy just graduated with her Masters in Business Administration (MBA) from the University of Missouri – Columbia. She took class and performed with the Columbia Performing Arts Center during her time in Columbia. Ms. Chrissie, Fitness Instructor, has been involved in dance, poms and fitness for over 20 years. As a teenager, she competed on many nationally ranked state champion pom pon squads and taught "old-school" aerobics. While auditioning for the St. Louis Rams Cheerleaders, she experienced a knee injury that caused her to slow down on the dance floor. To re-hab her knee and lose some baby weight after two kids, Ms. Chrissie began taking and teaching Yoga Fit for strength, flexibility and stress relief and Zumba for a fun cardio aerobic component to her workouts. She teaches classes at locations across St. Louis, as far away as a resort in Mexico, and while participating as a contestant in the Mrs. Missouri pageant. Ms. Gayle began competing as an all-star cheerleader in 2011. As a member of the Missouri Baptist University cheerleading team, She competed at NCA, Collegiate National Championship. She earned her Bachelor of Science in Elementary Education from Missouri Baptist University. Ms. Gina, Instructor, has been teaching dance and gymnastics to children of all ages for over 23 years. She studied Dance at Missouri State University and with Ludmillia Dokoudovsk, Antoni Zalewski, with the St. Louis Ballet. Gina is also the author of The 1st Three Years of Dance: Teaching Tips, Monthly Lesson Plans, and Syllabi for Successful Dance Classes along with other dance related books which are available on Amazon. We welcome Ms. Gina officially to our staff this season! Ms. Kristen began dancing at the age of 4 and hasn’t stopped since. Professionally, she has danced with St. Louis Dance Theatre, Atrek Dance Collective, Common Thread Contemporary Dance Company and El Monstero. She has worked with many nationally recognized choreographers including Jessica Lang, Uri Sands, Michelle Heffner Hayes and former Joffrey principals Carl Corry and Jerel Hilding. She graduated from the University of Kansas with a Bachelor of Science in Journalism/Strategic Communications and a minor in dance. 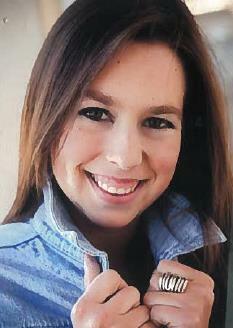 While at KU, she was a member of its University Dance Company. 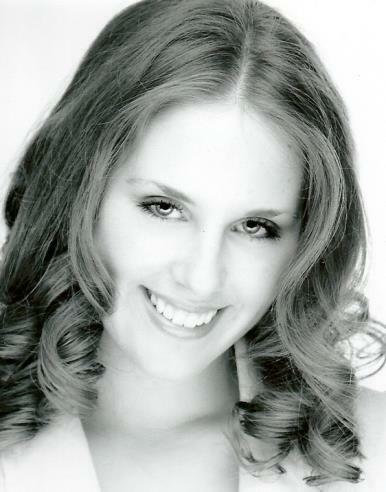 Kristen first began teaching with Dance Art in 2010, is well-versed in many styles and loves working with all ages. In addition to teaching dance, she is a certified yoga instructor.